Get your 2017 Easter cartoon here! 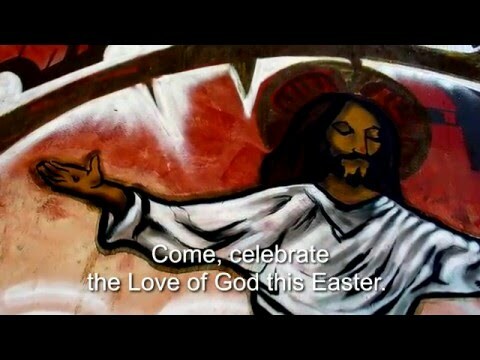 Your friends at the Acts 8 Movement are glad to offer the Episcopal Church a video for congregations to promote their Easter liturgies. The video above is our gift to you. You may post it as is, or you can download a high resolution video and with some basic video editing skills create a customized video for your congregation. We thank the Episcopal Church’s Presiding Bishop Michael Curry for his voiceover cameo role in the English language video. We also offer the video in more of the languages our churches worship in with Spanish, French, Mandarin, Cantonese, Korean, Tagalog, Ilocano, and Dinka language versions. When we launched our Christmas and Ash Wednesday videos, we added a blank spot right before the closing “The Episcopal Church Welcomes You” for congregations to add their service times or other information into the video itself. Now with experience, we see that the process takes time and gives an easy spot for those watching the video to move on as many users watch 95% of the video. We’ve omitted this blank space in the Easter video, realizing that the effort does not provide the desired results. This is an iterative process and we are seeking to learn. To find out more of what we have discovered along the way, please read Nurya Love Parish’s helpful post 7 Lessons from the Ash Wednesday Video Experiment. The Acts 8 Movement continues to learn based on your feedback. Nurya Love Parish will be conducting another survey of churches who use the Acts 8 Movement ad in the Easter season. To participate, please provide your email address using the form at the end of this post. Thanks to David Simmons who wrote and recorded the original score for this video edited and produced by Frank Logue. We give thanks to Alex Montes-Vela and his sister Sandra Vela for once again translating and recording the Spanish language video. Ada Wong-Nagata once again came through with a Cantonese language video and worked with the Episcopal Asian Ministries Chinese Convocation to record this in many voices as well as to create a Mandarin language video. Aidan Koh worked with the Korean convocation to create a Korean language version. Fred Vergara translated a Tagalog text for Filipino congregations and Leonard Oakes and Ruth Paguio worked with others to record the audio. Leonard Oakes also added a second of the major Filipino languages working to translate and record the voiceover in the Ilocano language. John Deng pulled together a group to create the Dinka language version for South Sudanese congregations. Pierre-Henry and Sophia Buisson provided the translation and audio for the French language version. You may use this video without concern for copyright infringement or incurring any fees for this usage. We created this video using original video recorded for this project together with clips purchased from videoblock.com and are using them within that licensing agreement. Everyone participating donated their time and work product to the project. Tweetchat: Why the Church Wide Structure? Following the BLOGFORCE question on the mission and structure of the churchwide body, Acts 8 hosted a tweetchat to consider the same question. A Storify summary is below! Following the BLOGFORCE question on the mission and structure of congregations, Acts 8 hosted a tweetchat to consider the same question. A Storify summary is below! Following the BLOGFORCE Ready 5 response to the Final Report of the Task Force to Reimagine the Episcopal Church, the Acts 8 Moment hosted a tweetchat to consider the same question. A Storify summary is below! 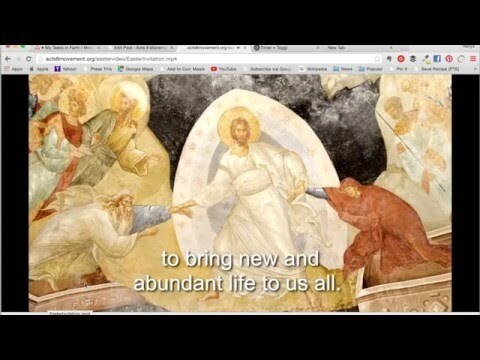 Following the BLOGFORCE challenge to spend a million dollars proclaiming resurrection in the Episcopal Church, last night the Acts 8 Moment hosted a tweetchat to consider the same question. A Storify summary is below! I had a few minutes before my meeting, so I went to their website. I got my answer quickly: they’re having a capital campaign. I still had time, so I clicked on the History link in their sidebar. And that’s when I discovered there was more to this story. In the days when colleges only admitted men, the Ladies Library Association was known as “college for women.” They founded the first library in Kalamazoo. They were the first women’s organization in the nation to gain the right to finance and own property. Against all odds, the Kalamazoo Ladies Library Association imagined and worked for a future where women and men had equal rights. They were willing to dare, to dream and to risk to bring that future into being. In Acts 16, we meet Lydia, a Gentile who worships the God of Israel. She shows up for prayers on the sabbath day, and hears Paul. She is so moved by Paul’s testimony about Jesus that she decides to be baptized, and her household with her. She is fully welcomed into the church, and she fully welcomes the church: she urges Paul and his companions to come stay with her while they are in town. Not long after, Paul and Silas are arrested for preaching Christianity. They are stripped, beaten with rods in public square, and locked in jail. As soon as they are released, they return to Lydia’s house. She must have quickly realized that being Christian comes with a cost. The first Christians stuck with the mission they had received from Jesus: to welcome everyone who wanted to live in God’s way, and to teach them the ways of God. They didn’t let anything get in the way of that mission. Being arrested and beaten by the authorities? A minor setback, quickly overcome. Seeing that being Christian can get you thrown in prison? Yup, that comes with the territory. Against all odds, the first Christians imagined and worked for a future where all knew the saving love of Jesus Christ. They were willing to dare, to dream and to risk to bring that future into being. At some point in their past, the Ladies Library Association of Kalamazoo made a choice. They decided that preserving their heritage was just as important – or maybe more important – than their original mission. Why do I think so? Their logo includes a horse and carriage, not a woman reading a book. Their capital campaign is to restore their historic building. Once, they focused on creating a new future; now they appear satisfied to preserve a noble past. On the wall of the Scottish Parliament are these words: “Work as if you live in the early days of a better nation.” That’s how Lydia and Paul and the apostles lived. As a result, you and I know about God’s grace in Jesus Christ. Once upon a time, that’s how the Ladies Library Association of Kalamazoo lived, and as a result, a better nation was born. What would you do if you worked as if you lived in the early days of a better nation? What would we do if we worked as if we lived in the early days of a better church?